Oh, my life is changing every day...ahem (song reference...guess which? )...Can anyone believe how fast the holidays come round? They really seem to arrive faster every year. As my favorite food-themed holiday looms, I felt inspired to make something, well, food themed-ish. 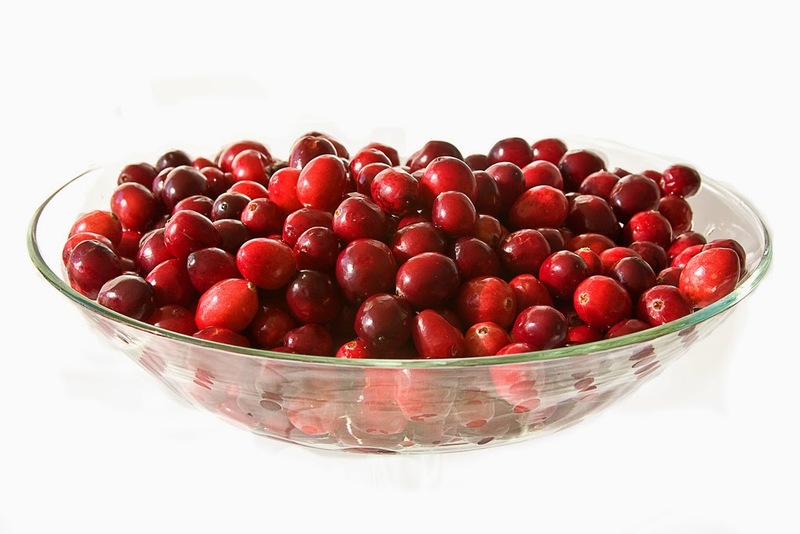 One of my favorite Thanksgiving foods is cranberry sauce, both homemade and canned, but especially canned (drool). The actual berries are so rich in color and the reds vary a bit...as does my selection of red nail polish. 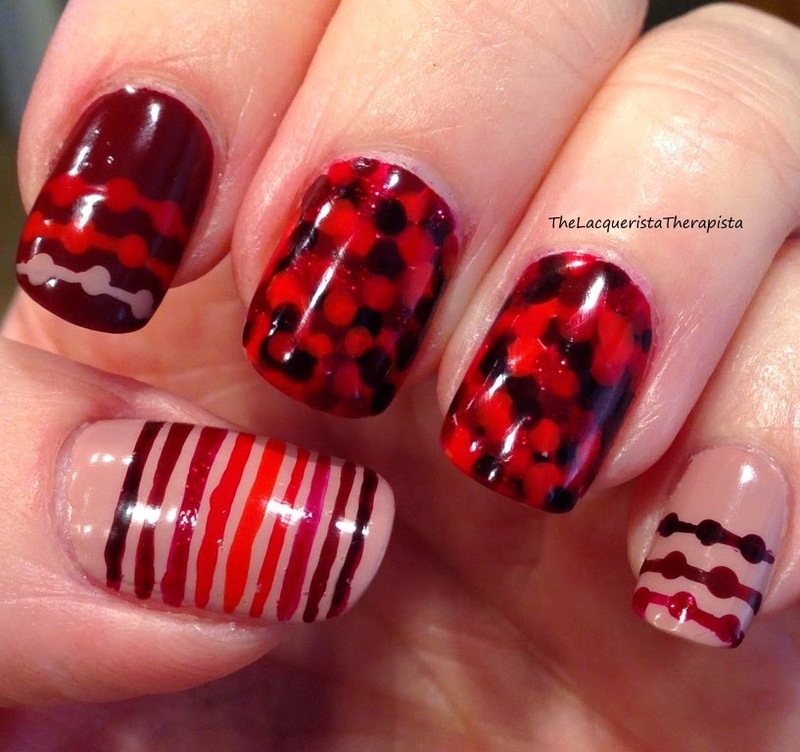 And here it is...cranberry nail art! And some other color coordinated nail art, too. I have a difficult time doing the same thing on each nail (because there are so many options!!) so only my middle and ring fingers were intended to be cranberry-inspired. 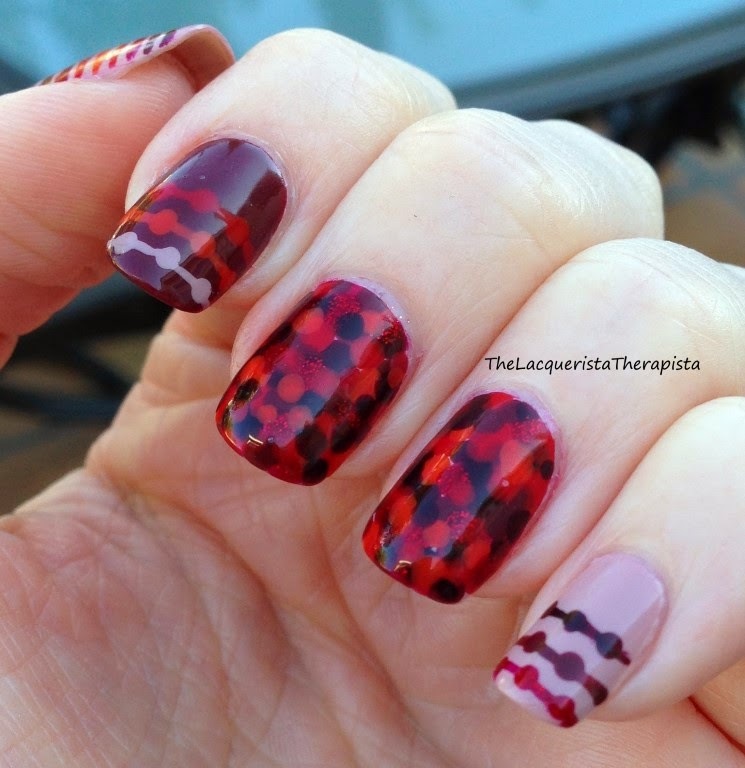 To create the cranberry look, I used a dotting tool with 5 different red polishes (listed below). 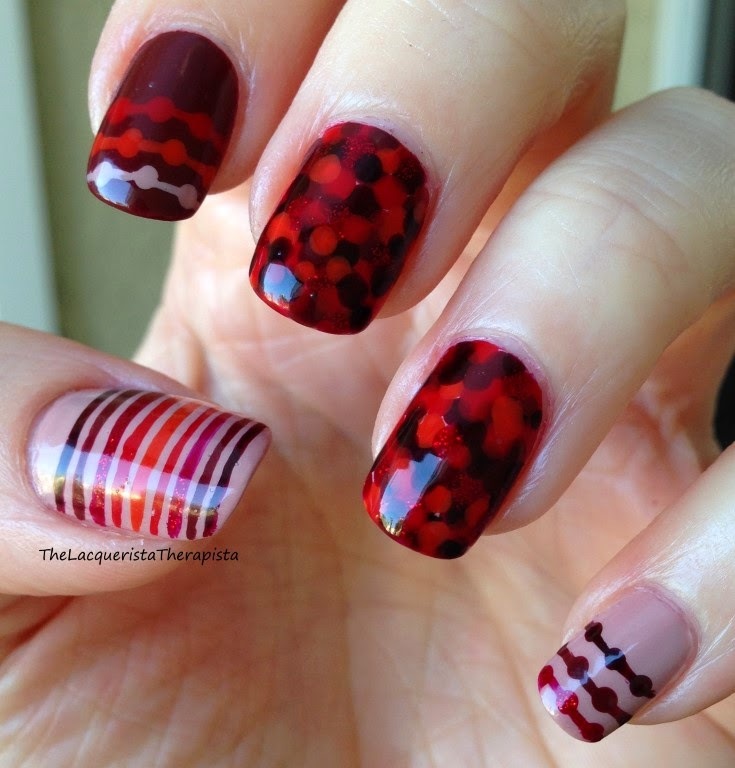 Dots were layered in varying shades until the whole nail was covered. I loved how the reds looked together so I chose to use them in different ways on my other fingers. Index and pinkie were done with a dotting tool and a striping brush. Thumb is free-handed stripes with a striping brush. How about some other holiday nail art? Have any ideas? Comment below.